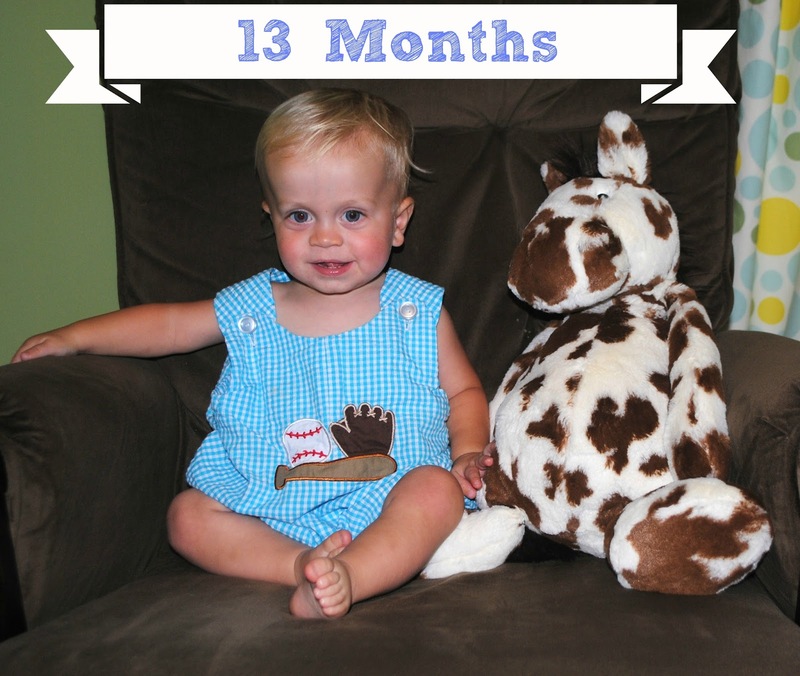 Moments with the Mays: Griffin is 13 months old! Poor second child. I opened my TimeHop app yesterday and saw Griffin's 1 month pictures from a year ago. Then a light bulb went off...OH! 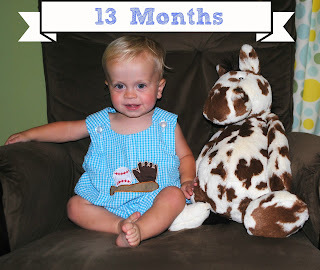 I need to take his 13 month pictures! Oops. Well, Griff, you are now 13 months old! I feel like you are officially a 1 year old now. I still call you a baby but I know that you are on the brink of that toddler phase. I just can't wrap my mind around it! you got 2 top molars! You not have 10 teeth. Those molars made you miserable for about 10 days. It was rough! You eat everything in sight. But what else is new?? Your newest food love is scrambled eggs! You are WALKING! No longer toddling; you are a full time walker. You can't stand up without pulling up on something, but we're working on that. It is still so strange to see you just walk around the corner. You look so tiny! You are loving being able to walk all over...you are into everything! the big kids in our neighborhood! 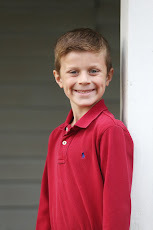 Eli is one of your favorites & you always walk next door and bang on the Garlington's garage. It's pretty funny! You also LOVE Emma & Walker! TRUCKS. You sit and play with trucks and make a "vroom" sound just about any time we are playing inside. the play kitchen. You love "cooking" with G in the kitchen! dancing to any kind of music! Happy 13 months to our busy little boy! ....and just for good measure, this is what 13 months really looks like!